Bills are a little bit like Piers Morgan. No one particularly likes them, and yet they always seem to be there. Thankfully, when it comes to our energy and water bills, there are a few things we can do to make them a little less painful. With a little knowledge we can drastically cut the amount we spend on home energy each and every year. So, why isn’t everyone doing all that they can to lower their energy costs? Well, even though there’s plenty of information out there, the details you need to make a dent in your gas, electricity and water bills are scattered all over the place. No one has taken the trouble to condense that information down into one easy-to-follow page that you can bookmark and refer to time and again. We’ve put together a definitive guide to saving your hard earned cash from the grasping hands of the energy companies so that you don’t have to trawl the Internet looking for snippets of advice here, there and everywhere. Oh, and if you follow even just a couple of the points listed below you’ll be doing your bit for the planet too. Bonus! Stick the kettle on (but don’t fill it to the brim) and start boning up on how to start saving cash whilst making the world a better place to live. 1 Chapter 1: What is Energy Efficiency Exactly and How Can It Help Me? Chapter 1: What is Energy Efficiency Exactly and How Can It Help Me? To ease you into the whole energy saving mindset, we’ve compiled a couple of resources that will help you get to grips with what energy efficiency actually means and an overview of some of the home improvements you can make in order to start saving cash year-on-year. Far better than simply bombarding you with a load of save energy slogans and meaningless jargon. You’ll also learn about a few nasty habits that you can start correcting straight away, as well as some things that you might have thought were saving you money on your energy bills that actually turn out to be nothing more than common misconceptions. So, without further ado, let’s delve straight into the first batch of resources that will set the foundation for lower energy bills. Which Home Improvements Deliver Savings? Let’s face it, major DIY projects can sometimes seem a little daunting. Even if you plan on getting someone in to do the hard work for you, you’ve still got to find the cash to cover the costs. Luckily, there are a few things that you can start doing right away to save energy that won’t cost an arm and a leg. Making a few quick wins is also the perfect encouragement for those larger projects further down the line, and the fantastic resources in this chapter are sure to get you off on the right foot. An uninsulated home is the heating equivalent of a leaky bucket; no matter how high you have your heating you’ll always be fighting a losing battle. Without proper insulation you’re effectively trying to heat the outside elements as well as your home! When you have suitable insulation in place you are creating a barrier that prevents all of that precious heat from escaping. Thankfully, laying down insulation in your loft or underneath your floorboards isn’t that difficult to do. Wall insulation can prove to be a little trickier, but it’s still within the realms of possibility for a handy DIYer. In this chapter you’ll find out just why it’s worth the hassle, and learn how to insulate everything yourself: Walls, floor, loft and pipes. Is Floor Insulation Worth the Bother? Although insulation is vitally important, there is another way to make your home even more energy efficient – air sealing. All of those tiny cracks and gaps throughout your home are costing you money; not just in wasted energy, but also with the damage that can result if they are left unattended for too long. The good news is that you can easily make the repairs yourself and usually a good quality caulk or expanding foam will do the trick. You’ll find out more from the excellent resources below. Let’s take a look. There’s a growing trend amongst green builders to revert back to the days long before we had electricity. Obviously, that doesn’t mean that they are doing away with electricity altogether, but many construction companies are now designing buildings in a way that makes a lot more use of natural light. Daylighting, as it has been dubbed, can save up to a whopping 75% of the energy used by electric lighting in some buildings so it’s easy to see why it is becoming so popular in new builds across the country. However, there are things that you can do in an existing building too. Adding a skylight can make a dramatic difference to the amount of sunlight that enters into a room, thus lowering the need for artificial, electric light. We’ve compiled a few resources here to give you more of an idea on what daylighting is and how to go about harnessing more natural light in your home. 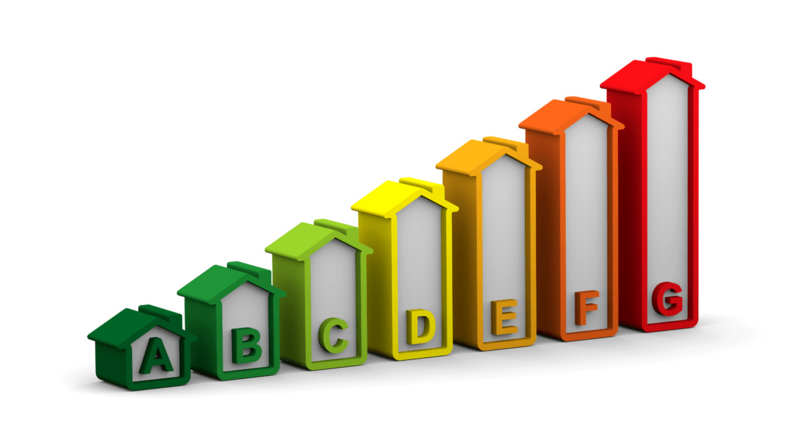 Choosing the right energy source can really make a big difference to your energy consumption. However, unlike insulation and air sealing, changing your energy source is a far bigger undertaking and one that you’ll likely only get round to during a renovation or when your old source gives up the ghost. That said, any guide to saving energy has to address the point and, with the rise of renewables, there are plenty of options available to anyone looking to switch or update their existing energy source. From boilers to wind turbines, we’ve got you covered. If you are renovating your home, or lucky enough to be building a new one, your decision on how to distribute heat can significantly alter the amount you’ll pay each month in energy bills. In this chapter we’ll take a look at the options available and see how the big two emitters – underfloor heating and radiators – perform when they go head-to-head. There’s also a must read resource on energy saving light bulbs too. Ready? Buying energy efficient home appliances and electronics can help you cut your energy usage and lower your bills. However, the savings don’t have to stop there. Learning how to use these devices with energy saving in mind can make a huge difference too. Here we have a few resources that will help you get to grips with those everyday items that we so often take for granted. Leaving Household Appliances On Standby – Does it Matter? Using water wisely is not only easy to do, it’s also great for the planet and can put a decent chunk of change back in your pocket over time. First world countries waste far too much water and the average household uses over 100,000 litres every year. With a little care, this figure can be cut drastically. Things like switching to low-flow shower heads and inserting gadgets inside your toilet cistern can make a huge difference to your consumption, and lowering the amount of hot water you use can help bring those energy bills down too. Here are some great resources to help you use less H2O each day. Even once you’ve fully insulated your home, sorted out any air leaks and replaced your old decrepit boiler, there are still other ways that you can save energy. One of the hardest things to work out when you’re trying to become more energy efficient is deciphering the bill itself – what exactly are you spending your money on? This is where monitoring comes in. By making use of the technology available you can now pinpoint your usage and find out exactly what’s costing what. Best of all, energy monitors are a great way to explain to your kids why we should save energy as they are such visual tools. The more aware they are, the less likely they’ll be to leave the bathroom light on! Monitor Your Water Usage On Your Phone! It has been well publicised for quite some time now that switching your supplier can bring some rather hefty savings. What isn’t so well documented is how best to go about doing it. In this chapter we give you a few handy resources that will help you switch your supplier effortlessly, hopefully saving you some money along the way. Major home improvements can be costly and it is often the initial cost of such projects that put many people off of making their homes more energy efficient. However, if you live in the UK, there are ways that you can get financial help to bring your energy consumption down. In this chapter we look at some of the financial incentives available for those who wish to lower their energy usage through home improvements. And that, ladies and gentlemen, is that. 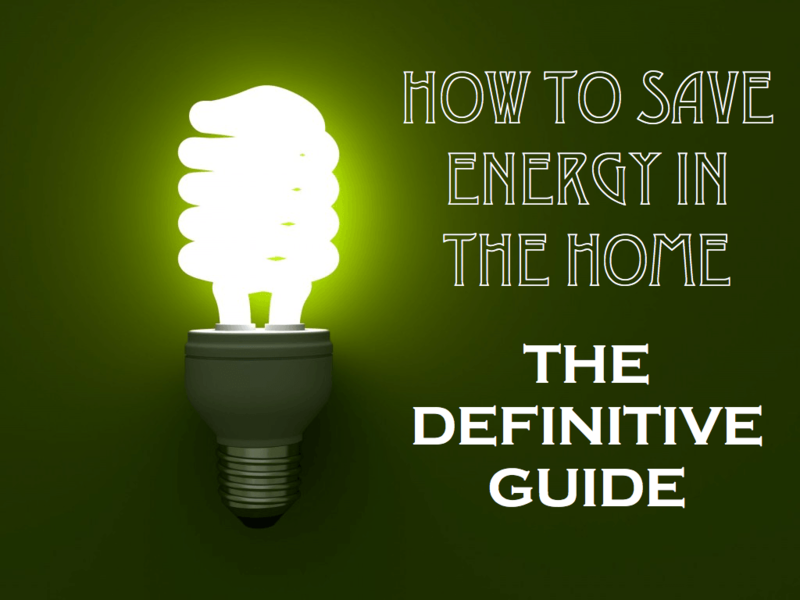 You now have a go-to guide full of top tips for saving energy. Be sure to bookmark and share with anyone you know who would rather spend their money on coffee and cake than energy bills. Thanks for sharing, glad you found it useful! I really like your tip about air plugging! My dad recently did a sealing job around his home with the windows and the doors. He and my mom ended up saving money on their next heating bill from doing that! I live with my sister and her husband and I think getting an audit and seeing what they can do to heat their home more efficiently would really help them save money. Thank you for sharing these tips! No problem at all Aria, thanks for taking the time to comment! Woow..Amazing list, I very like about eco-friendly topic like this post. I think insulation is the best ideas. It will save more energy and also more money.